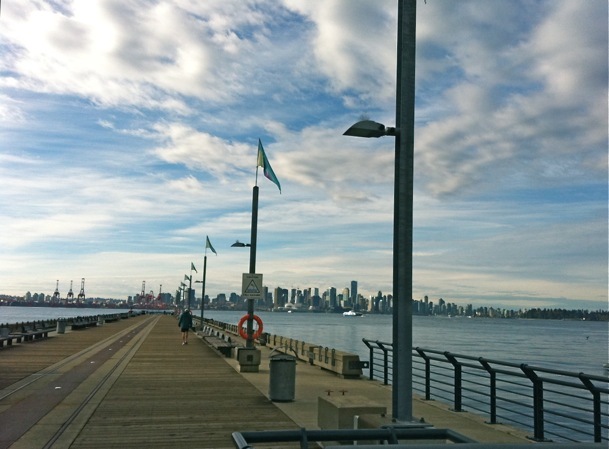 Interested in enjoying a view from this seaside location? Scroll down for details on how you can enter to win an overnighter and $100 towards dinner at the Pinnacle Hotel at the Pier. 1. 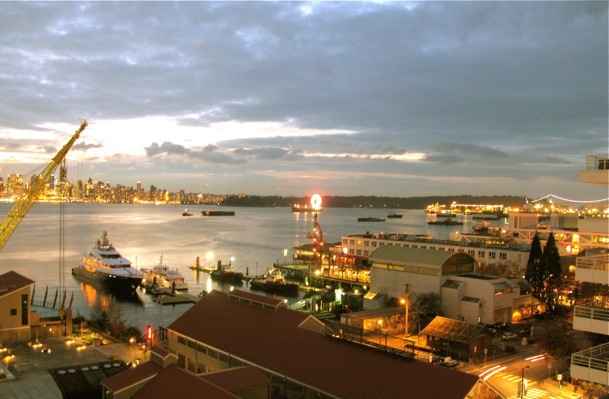 Bustling downtown Vancouver, less than two miles away, seems a million miles away from the North Shore’s Pinnacle. Seabus transportation time: 10 minutes. Check the transit schedule here. 2. The Pinnacle Hotel’s Lobby Restaurant menu has been revamped since first opening. Each dish I tried blew me away. Clearly, they recognize that ‘to die for’ food is a vital part of a getaway. 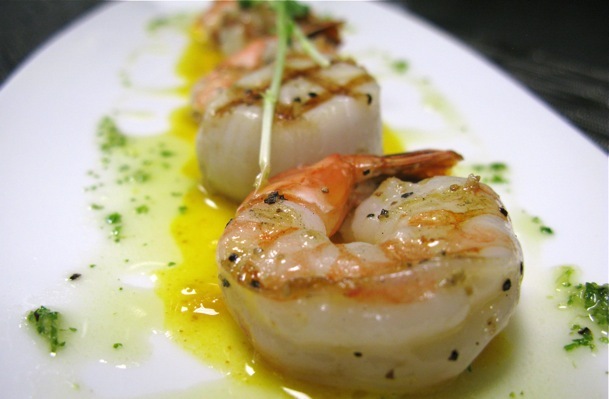 Plump Prawns & Qualicum Beach Scallops in a saffron tomato beurre blanc – so fresh, I would’ve guessed they were caught off the hotel’s own pier. 3. 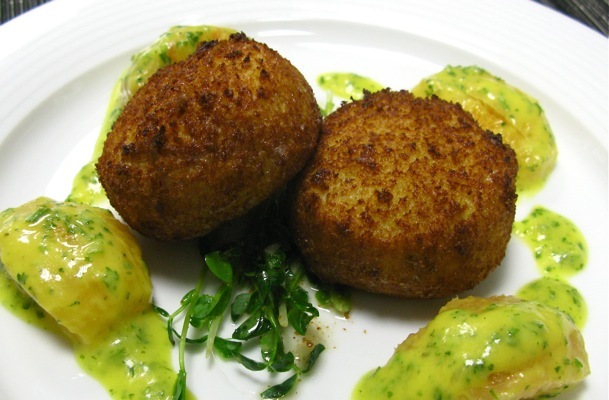 Marvelously meaty Local BC Crab Cakes made with red pepper, chives, and Dungeness Crab. The proportion of vegetable to crab was at least 1 to 20. 4. 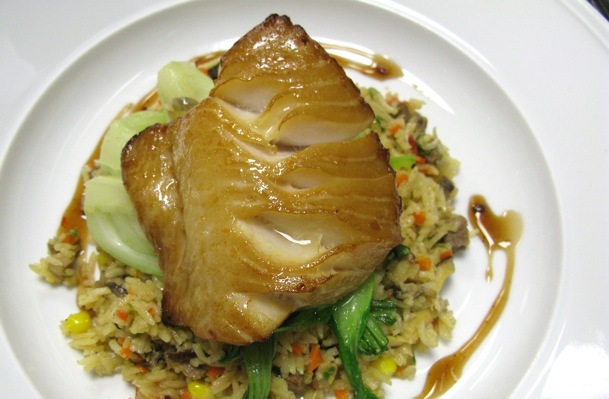 The most to die for item of the dining experience: Roasted Vancouver Island Sablefish. Four words: soy brown sugar glaze. The buttery, house made bbq pork fried rice was also addictive. This dish is dangerously delicious. 5. 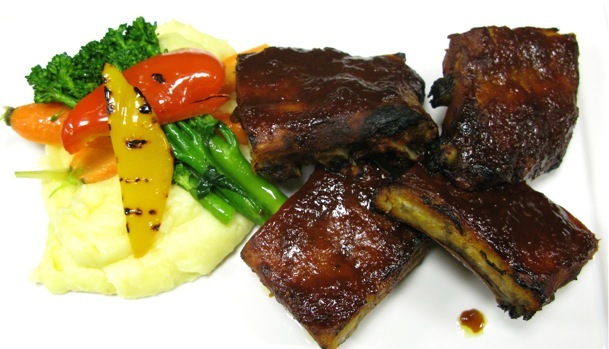 Slow-roasted Baby Back Ribs smothered in stout bbq glaze, served with intensely creamy garlic mashed potatoes and vegetables. 6. 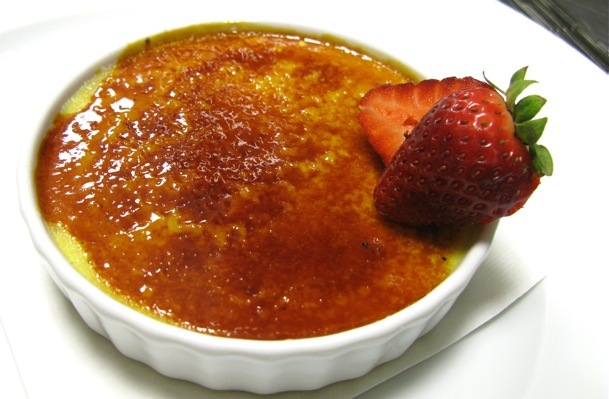 Generously portioned Crème Brûlée…so delicious, I wanted two. 7. 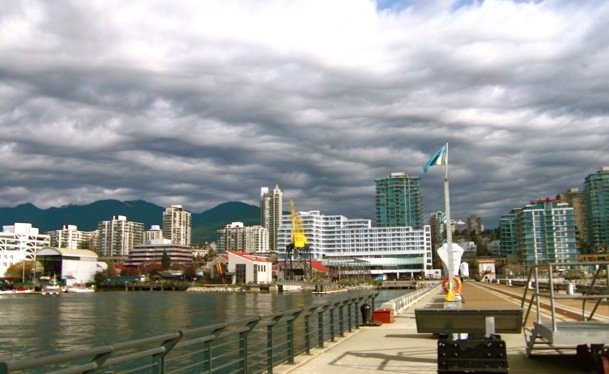 After the dinner splurge, take a long walk on the Burrard Dry Dock Pier and check out Wallace Shipyard, which used to be the largest in Western Canada. 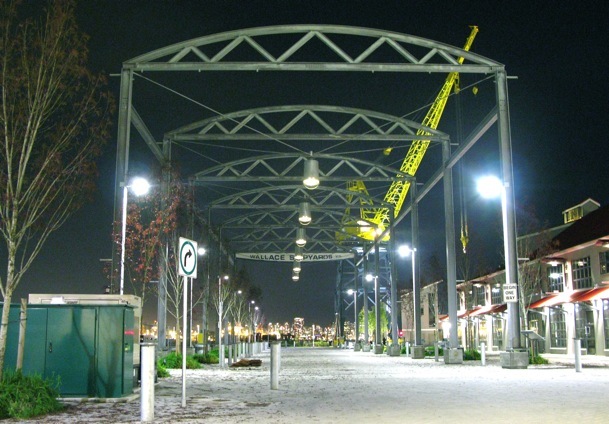 This area, known as Lower Lonsdale, is the next Yaletown. 8. 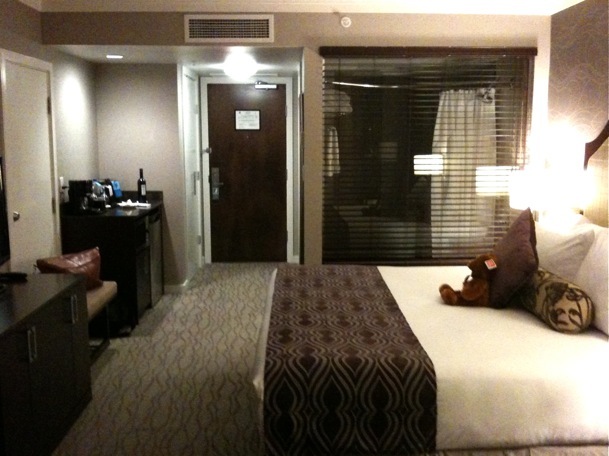 Head back to your room to enjoy its stunning views. 9. 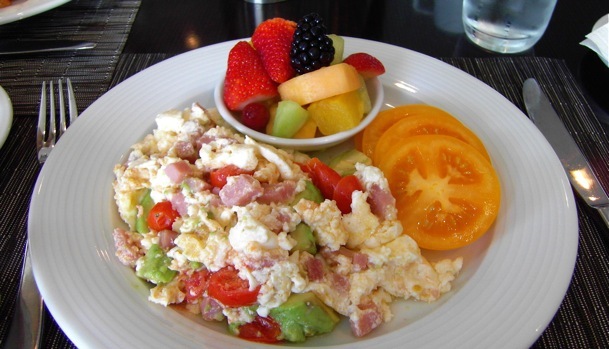 You will not want to leave your glorious Pinnacle bed, but once you do, head back down to Lobby for a light breakfast. They will gladly make any healthy meal substitution for you. 10. 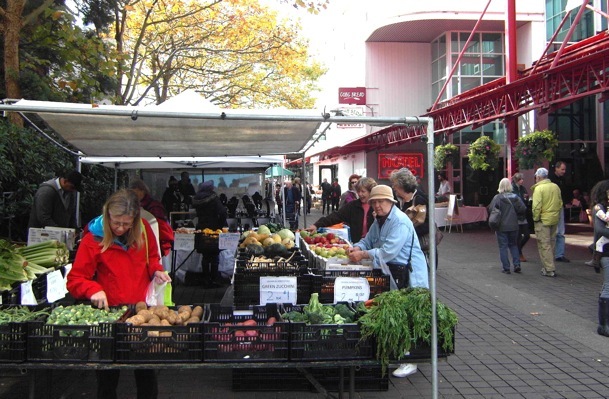 Lonsdale Quay Market is within eyesight from Pinnacle Hotel and, for many Vancouver, is a closer fresh produce option than Granville Island Market. Stock up on your daily goods and locally made products, like vegan baking. Though my family home is a five minute drive from Pinnacle Hotel at the Pier, I’d sooner stay in their lap of luxury than my familiar, cozy rancher. They are without a doubt the best hotel in North Vancouver. Good luck! The winner will be announced through a video message on Thursday, November 25th. This contest is brought to you by itstodie4.com and Pinnacle Hotel at the Pier.